In an effort to grow arrivals from France, the Government will support a key conference in Colombo where an estimated 500 representatives of outbound travel agents are expected to attend to boost Sri Lanka’s presence in the travel market. The Government of Sri Lanka has given top priority to the JEV Congress that is to be held in Colombo from 31 October to 4 November, Sri Lanka’s Tourism Ministry said in a statement. Les Journées des Entrepreneurs du Voyages (JEV) formally known as SNAV represents more than 1,400 tourism enterprises in France, generating over € 24 billion in annual turnover. “It is indeed an honour for us to host the JEV Congress in Sri Lanka at a time when our tourism industry is flourishing. France has been a traditional source market for Sri Lanka and significantly enough French arrivals have increased by around 13% so far this year and we are certain that with the winter season and the JEV Congress still ahead, this number will double in the future,” said Tourism Minister John Amaratunga addressing a group of 150 travel agents at a pre-promotional event in France on Tuesday. The event was organised by Sri Lanka Tourism on the sidelines of the IFTM 2016 Travel Fair in Paris. Chairman, Sri Lanka Tourism, Paddy Withana was also present at the event. Minister Amaratunga emphasised that in today’s volatile world, Sri Lanka stood out as one of the safest places for both business and leisure. “The primary ingredient for a blissful holiday is safety and Sri Lanka is one of the few countries in the world that can offer this today. In addition the current Government has offered a range of incentives for investors in the leisure sector making the country stand out as an attractive destination for investment,” the Minister said. The Government of Sri Lanka, the Sri Lanka Convention Bureau, Sri Lanka Tourism Promotion Bureau together with all private sector tourism stake holders are going all out to showcase Sri Lanka’s unique tourism products and services to the French market through the JEV Congress. “We are particularly interested in promoting Meetings, Incentives, Conventions and Exhibitions popularly referred to as the MICE sector, and the delegates attending the JEV Congress in Sri Lanka will have an opportunity to see for themselves what the country has to offer,” Minister Amaratunga added. 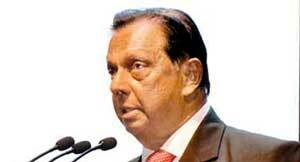 The Tourism Minister also revealed plans about Sri Lanka’s own travel fair which is to be held in Colombo next year. “Today, the MICE sector accounts for around 12% of tourist arrivals to the country but we are keen to grow this segment capitalising on the vast potential that Sri Lanka offers MICE tourists. In this regard I must inform you that Sri Lanka is planning a travel fair of its own called ‘Gateway to South Asia’ in Colombo in May next year. As a Government driven initiative with private sector participation, we anticipate your support for this venture,” Minister Amaratunga said. The JEV Congress in Sri Lanka will take place from 31 October to 4 November. The main Congress will take place in Colombo and the key hotels that will be used for the purpose are the Cinnamon Grand, Taj Samudra and The Kingsbury.